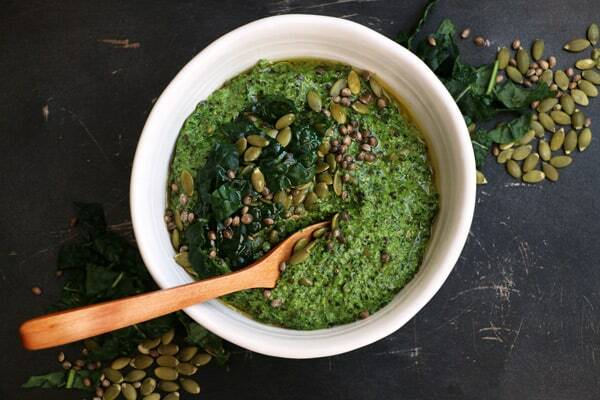 Let me introduce you to a pesto with a difference – Tuscan Kale, Hemp and Pumpkin Seed Pesto. 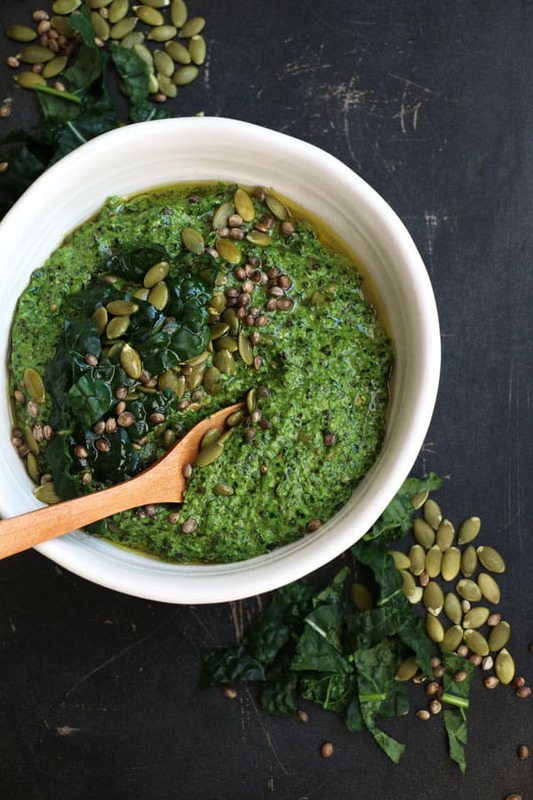 My favourite stall at my local Farmer’s Market has been recently selling lovely baby tuscan kale that was just calling to be a star in a recipe and so this pesto was born. 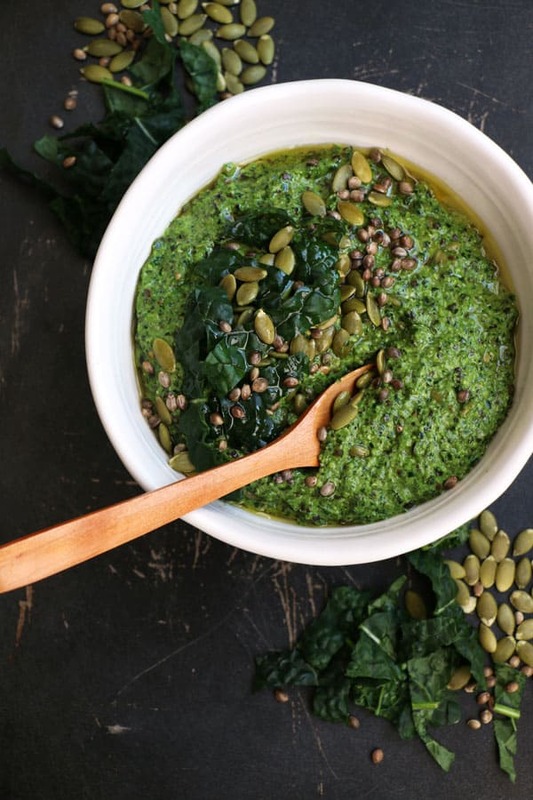 I don’t tend to eat very much of a raw kale, just occasionally, but all nicely blended with seeds, extra virgin olive oil and my favourite – garlic, I can be tempted. This is one of those super simple recipes that takes about 10 minutes to make and can make any meal super tasty. You can use any type of kale that you like, curly kale would work just as well. Make sure you wash the kale thoroughly and remove any very hard stalks. Chop the kale into strips, wash and dry thoroughly. 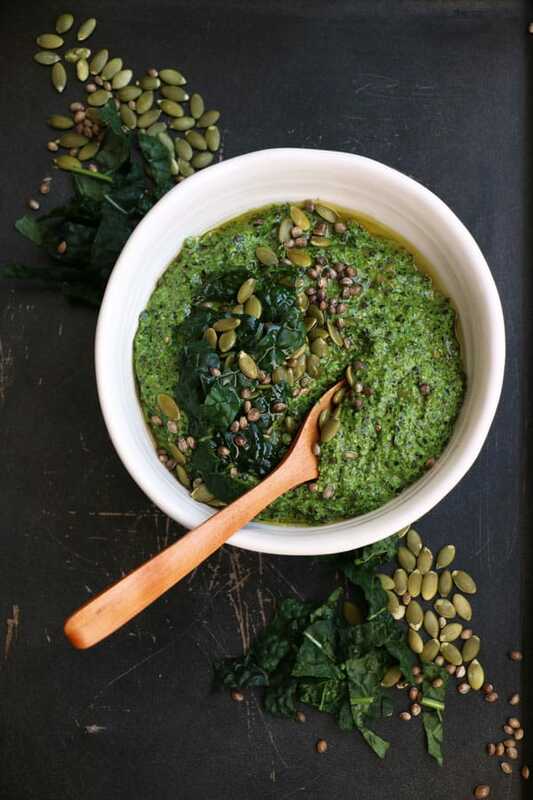 Place hemp seeds, pumpkin seeds and garlic into a food processor and pulse until coarsely ground. Add kale and blend again. Finally add olive oil, lemon juice, salt and pepper and process until you have desired consistency. 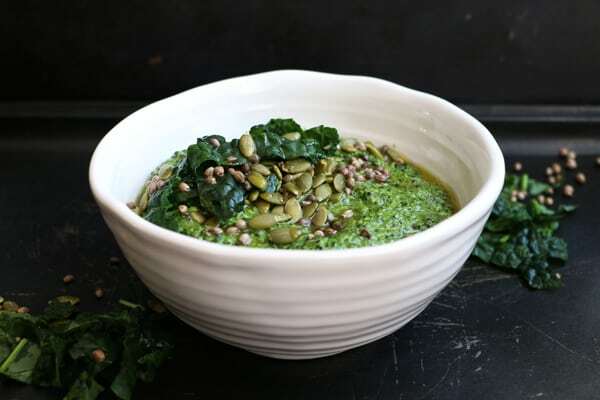 Scoop into a bowl and serve with a drizzle of olive oil on top. Store in a fridge in an airtight jar. 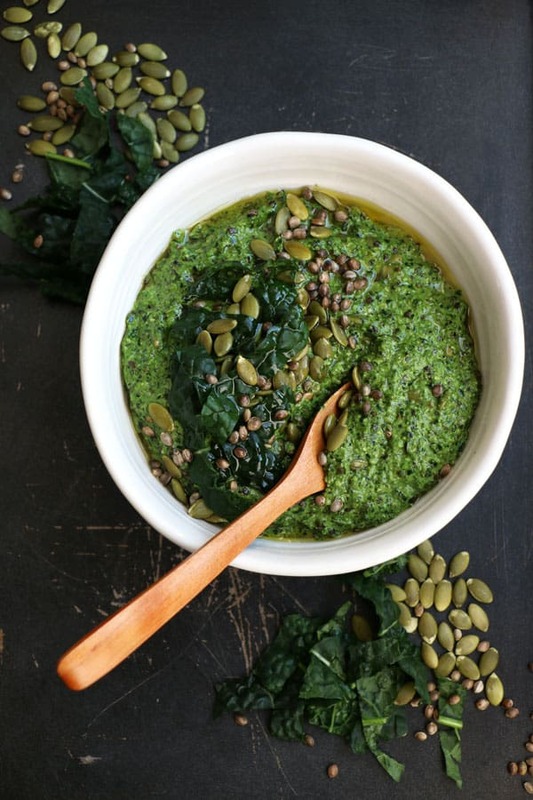 I've used whole hemp seeds, that's why I blended them first together with the pumpkin seeds before adding kale. If you're using shelled hemp seeds, you can just add them towards the end. Thank you Rebecca! The colour is pretty amazing, isn’t it? Just wondering, could I use spinach instead of kale? ?